Think about a great hire. Think about the employee who referred them. Think about the HRBP who approved the req. Think about the Compensation Specialist who approved the leveling and salary band. Think about the recruiter who wrote the job description, screened the candidate, and enticed them into becoming very interested in the role. Think about the people in the interview loop, each of whom was engaging and didn’t look at their phone throughout the interview. Think about the marketer who wrote great copy for the career site. Think about the hiring manager who spent a little time explaining their vision of the team and how it was impacting the business. Think about the recruiting coordinator, whose tour of the office was neither stodgy or dull but highlighted where that person might be sitting in a few weeks’ time and how close they were to the coffee machine. Think about the department head, who made a special effort to place a five-minute call with the candidate to hammer home how much that candidate was valued. 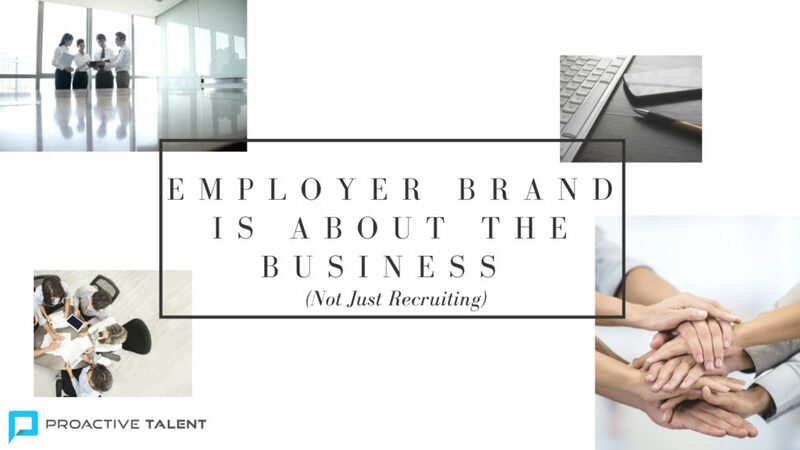 Not only did each of these people play a vital role in the hiring process, they were all aligned towards a common understanding of the employer brand, either by what they said, or how they impacted the candidate experience. No one person seemed misaligned with the company’s expectation. Everyone just played their role within a team and made the hire happen. No one looks at this process and says that all of it is the recruiter’s doing. Too many of those steps fall outside the recruiter’s purview and sphere of influence. The recruiter has too much to do in sourcing, screening, assessing and interviewing to spend much time with HRBPs and Compensation to ensure they are all playing their part in timely manners. It can take months or years to build the relationship with business leaders that allow them to push back on an assumption or objection. Recruiters are super, but they aren’t super-human.